If you have your own company which matches the influence and size of Google, you would probably grow it with the expectation that someday you would probably be sued for one reason or another. Recently, such a thing has happened with Google as another group came to take a little money off Google and harass them. 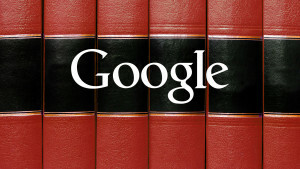 The reason behind this legal case is showing their content in Google search results. Well, to be a bit clearer, a group of German publishers has lodged a civil complaint against the search engine giant, Google. Constituted as VG Media, this publisher’s group claims to enforce the Ancillary Copyright Law of Germany which was passed in the year 2013. This is the latest episode about the continuous dispute between Google and the German new publishers. The publishers are suing this huge company as they are showing their content in search engine results, which according to them is against the copyright law. Yet, it is still not clear that the complaint addresses Google search broadly or only Google News. Google hasn’t seen the complaint still now and has hence denied commenting on this lawsuit or claims which have been presented. This claim is being counted as the 5th civil administrative claim that was lodged by VG Media against the search engine giant in Germany. Already 3 of the claims have been solved in favor of Google and the remaining 2 (including the latest one) is still pending. Read on to get an idea of the tortured history of Google being sued by this German publisher group. It was in 2013 that a group of German publishers met for passing the extremely restrictive copyright law with the noble intention of restraining the amount of publisher content which could be displayed by third party search engines. The publishers had the right to collect the licensing fees from any company, whether Google or any other search engine, when the exposure of the hidden content surpassed the narrow limits. This copyright law was passed as an effort by the German government to address the financial challenge of declining ad revenues and readership of the conventional print media. After much negotiation, Google took to decide to avert potential liability by letting go of publisher content snippets and controlling the news content. After this case, it is still not clear what kind of damages the publishers are seeking with their new civil complaint lodged recently.